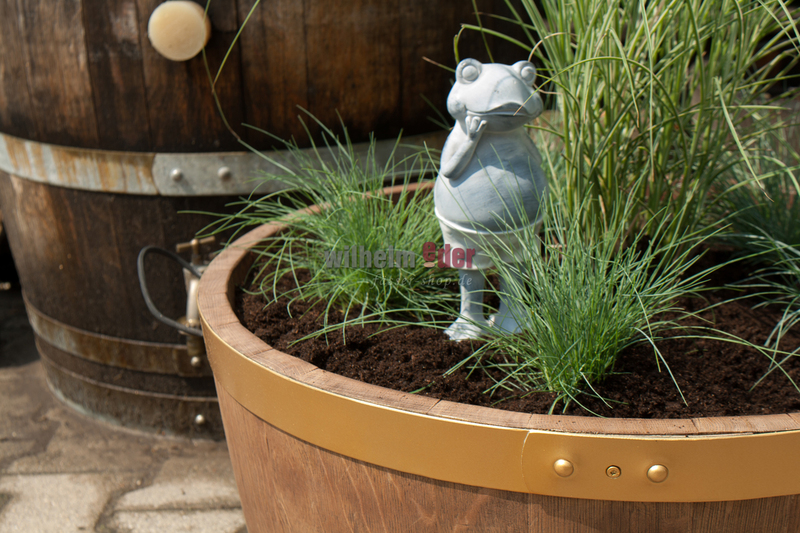 Product information "FassStolz® flower pot - Golden Style"
Exclusive flower pot from our FassStolz® series, made from a ¼ 225 l used barrel. 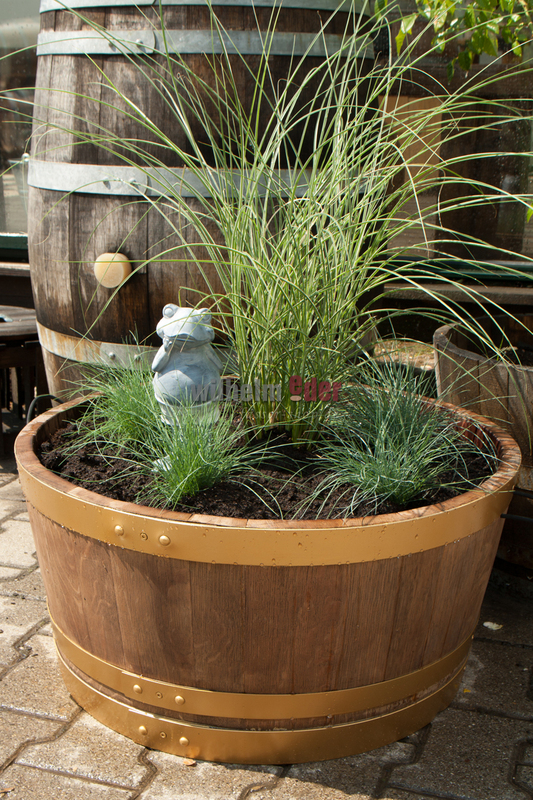 In our joinery, we transform red wine barrel to this beautiful flower pot. 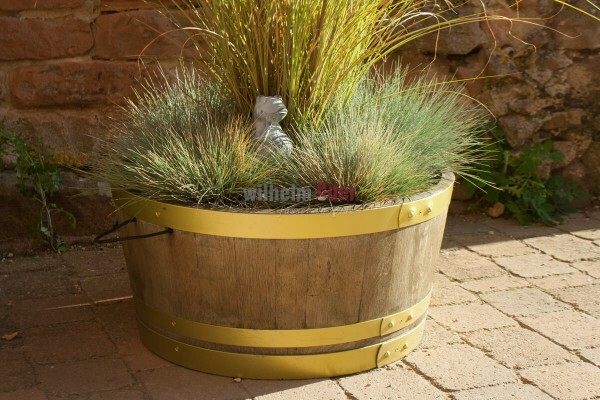 The golden hoops and the antique stained barrel give the planter a noble appearance. 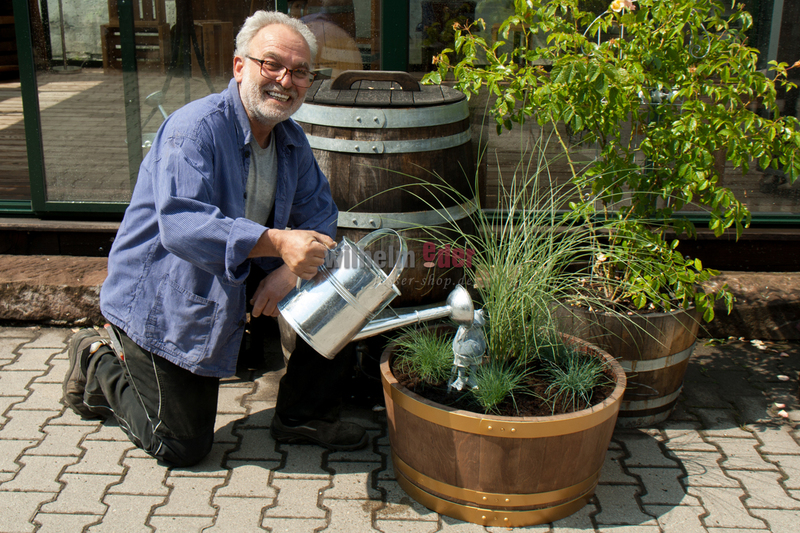 In our carpentry we convert the used wooden barrels into unique and beautiful planters. 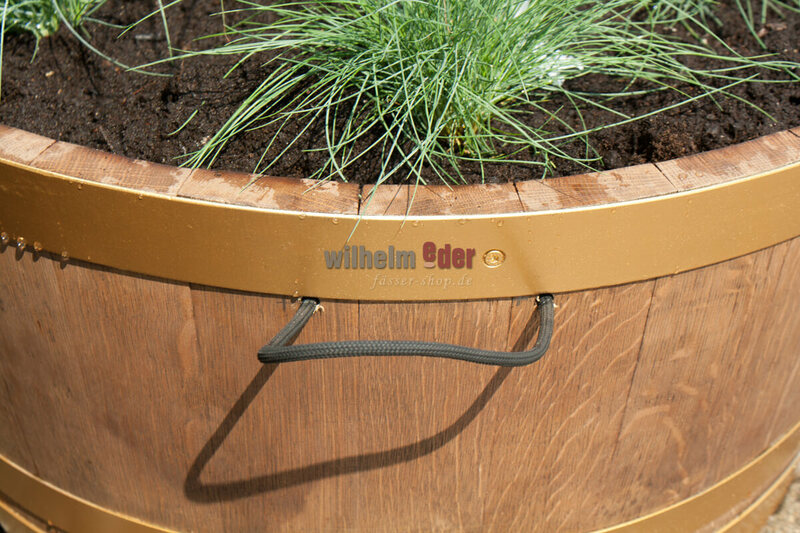 Every oak barrel is unique. Different colorations arose from the precious content that once stored them. Small notches in the wood or small bumps are not quality defects but rather determined by the nature of the construction and the prior use of the barrels. Hardly any other piece of furniture spreads so much authenticity, Spirit and feel-good atmosphere like a wooden barrel, each telling a different story from days gone by. We underline the natural change of the article when it is exposed to the weather. All fotos are sample fotos, color deviations are possible. On request, we drill holes into the bottom, to the drain water. On demand you have the option to leave your message at the end of your oder.